Geneshift Forums • View topic - Version 1.14: New Challenge System! Post subject: Version 1.14: New Challenge System! This version introduces a new progression system called "Battle Royale Challenges". There are 60 challenges to complete, starting off easy and becoming increasingly difficult as you progress through them. When you complete a challenge you'll discover a new item, such as a weapon or skill, which can be used in-game. 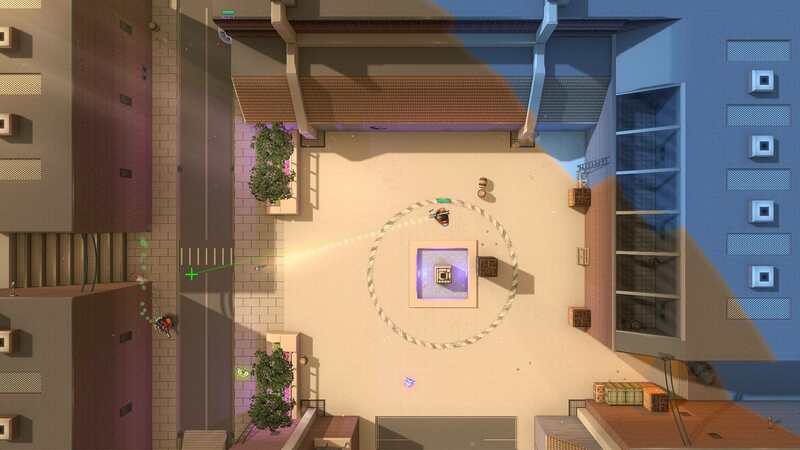 Players are now rewarded for pulling off ridiculous stunts and impressive feats of skills. If you actually manage to knife 3 people while falling from the sky, you're gonna get rewarded for it dammit! One cool feature about this new challenge system is that it changes how players discover and unlock items. Previously items would randomly spawn in the map and all a player had to do to was just pick them up. That's rather uninteresting and unsatisfying. Now however, certain items can ONLY be discovered if you complete the appropriate challenge. This gives a sense of exclusivity to certain items. If you want to use the Flamethrower you will need to complete the "Plasma Strike" challenge to unlock it. This is a nice way to show off to other players how much you've achieved. This challenge system gives players a sense of purpose and progression while playing the new Battle Royale mode. It effectively adds dozens of hours of singleplayer content for those who wish to complete all the challenges. It also gives you something to do when fighting against bots. The challenges are fun to complete and require a lot of creative thinking, and now you'll have something to show for our efforts. 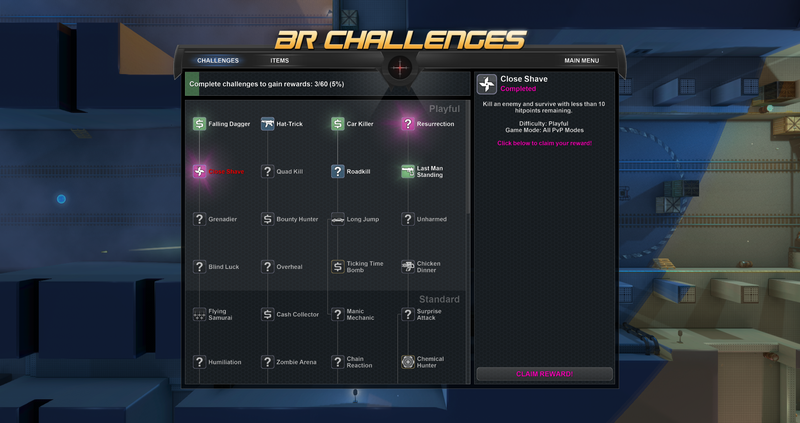 Your challenge progression is also shown in-game to other players, so you can show off how much you've accomplished. In other news, I've played around with the lighting engine to make the game look significantly brighter, cleaner and more colourful. There are also more particle effects and the Battle Royale circle is now blue in daytime maps to make it easier to see. Check it out! 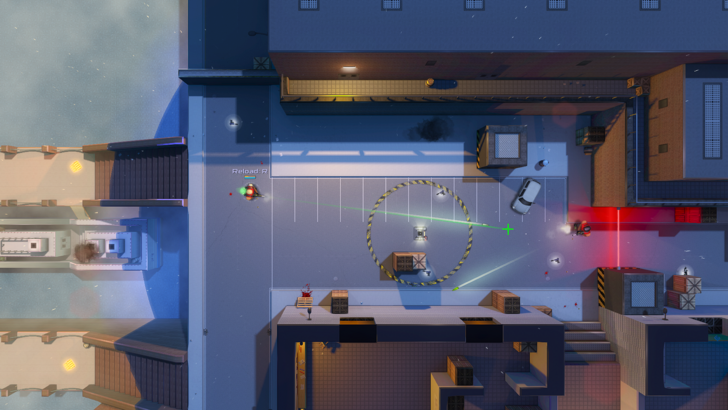 Based on feedback over the past 2 months I've continued to refine the new Battle Royale mode, tweaking drop rates, bot behaviour, and the cash system. One significant change is the new focus on buying your own items, relying less on random loot drops and more on smart cash management. Items have been made cheaper and cash drops have increased to make this possible, and I think it should make the game play a lot more strategic. You may notice that Geneshift now has a "Complete Edition DLC". This is in preparation for the full release sometime next year, but for now doesn't really change anything. Everyone who previously owned Geneshift gets this DLC for free. Anyone who buys the game during the sale this week also gets the DLC for free. Right now it's simply a way to separate the Battle Royale from the rest of the game.